Dr. Miller grew up in Beardstown, IL. She attended Augustana College in Rock Island, IL and graduated with a BA in 2000. Dr. Miller received her Doctor of Dental Medicine from Southern Illinois University School of Dental Medicine in 2004. She currently lives in Swansea with her husband, Dr. Edward Miller, and her two sons, Nicholas and Jonathan. She enjoys reading and spending time with friends and family. Dr. Miller especially enjoys watching hockey, either her son's team or the St. Louis Blues. Dr. Miller loves dentistry. She loves improving patients' health as well as developing a personal relationship with every patient. Every aspect of dentistry is a joy. She cannot wait to meet you. Call her for an appointment today! 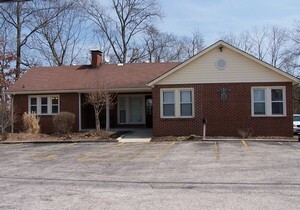 Our office is located at the corner of Highway 159 and Huntwood Road in Swansea.